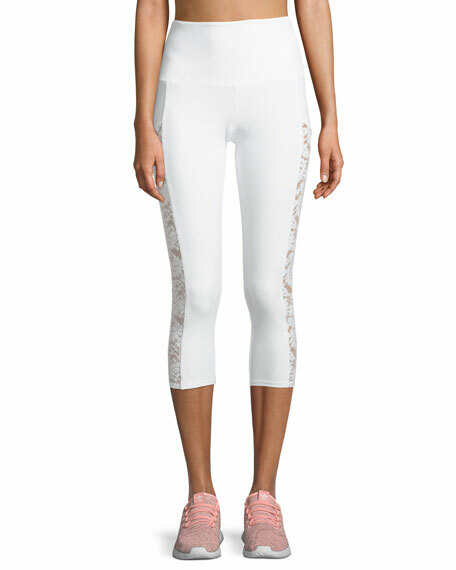 Onzie "Stunner" bridal capri compression tights/leggings featuring lace panels at sides. Approx. 20" inseam (size S/M). Wide elastic waistband; high rise. For in-store inquiries, use sku #2577387.